The nearest airport is Exeter International Airport. 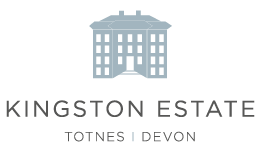 Please then follow the automobiles directions to Kingston Estate, near Totnes, Staverton, Devon. Our private estate is also accessible by helicopter and we are also able to provide a discreet security team as required. The nearest mainline station is Totnes which is only three hours from London Paddington. It is only a ten minute taxi ride to Kingston and there is a taxi rank outside the station. From Exeter proceed south bound on the A38 towards Plymouth exiting at the Dart Bridge junction signed Buckfastleigh and Totnes on the A384. From Plymouth please exit the A38 at Dartbridge junction signposted Buckfastleigh. Follow the main road signs to Totnes/Staverton and proceed along this road for about 2.5 miles turning left at Charlie's Cross towards Staverton and Broadhempston and go past Bens Farmshop formely Riverford Farmshop. Follow this lane for about 1 mile and at the T-junction next to the steam railway bear left towards Staverton. Follow this road along into the village, keeping left opposite the Sea Trout Inn, then taking the immediate first turning left towards Kingston Estate. Follow the signs to Kingston for approximately 1 mile where you will find the estate. If in doubt please do not hesitate to call or email us.